Gear up for adventure, with plenty of time left for relaxation and beautiful ocean views. The incredible Navigator of the Seas is home to an array of innovations that give you whatever type of vacation you desire. Climb a rock wall that overlooks the sea, or challenge yourself on the basketball court or mini-golf course. Achieve the perfect poolside zen or relax at the day spa. Liven up your nights on the Royal Promenade, with dining, dancing and duty-free shopping. Always something to do. Always something to eat and drink. Friendly staff. Pros: Always something to do. Always something to eat and drink. Friendly staff. Cons: Not enough time in the day to do everything! What a wonderful way to ring in the New Year. 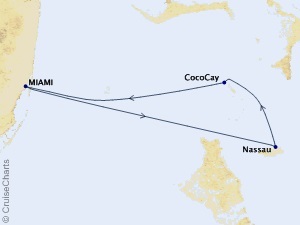 Looking forward to our next cruise on the new Navigator of the Seas. Review: Large ship, need more help. Food in main dining room and specialty restaurant was excellent. Pros: Food in main dining room and specialty restaurant was excellent. Cons: Not enough rest room capacity by the pool and restaurants. Review: Shows were just average. Service was outstanding in the main dining room. We had a vegetarian in our group and the head waiter stopped at our table each night to review the next days menu with her and assure that the offerings were sufficient. Review: We made four ports, I would only recommend two of the ports. Bonaire and Haiti was not good for me. I loved Aruba and Curacao was pretty good. I had a bad experience with Chops on the ship. This is a restaurant where you have to pay and it was the worse. I also did not like the solicitors for the Mexican restaurant. I was really disappointed in the activities offered. Was the worse that I had seen. There needs to be a lot of improvement with the activities. Getting off the ship on Sunday morning was awful. Someone need to develop a new system. It is hurry up and wait. 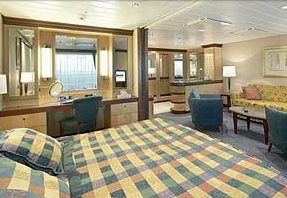 You are asked to leave your stateroom room and go stand. If you have a standing problem, or a back problem, it is not good. Also when you have paid your gratuity in advance, Why are the housekeepers leaving you and envelope for tips. I think they should be notified that you have already paid. Crew very helpful and friendly. Never saw crew upset. Pros: Crew very helpful and friendly. Never saw crew upset. Cons: Long lines when dis-embarking, Long wait to go to Cayman Island. To short of a time on the islands. Review: Never have we had such a wonderful experience with our dinning room staff. Jean Paul, Conroy were wonderful, 10+, always smiling, explaining menus, explaining next day's activities. 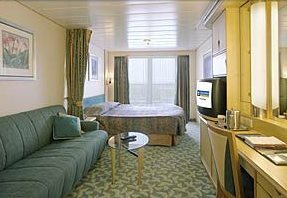 Our Room 8572, stateroom attendant also rates 10+, always available when we needed something, never having to ask twice for anything or just to greet us every morning. Review: Overall great expierence, no complaints. Loved Dining, Attendant and bartender staff. Very courteous and did a fantastic job. Our needs were attended to and loved that people remembered our names. Pros: Loved Dining, Attendant and bartender staff. Very courteous and did a fantastic job. Our needs were attended to and loved that people remembered our names. Review: Our group had a wonderful time. We had personal treatment and I was especially impressed when the crew could call each of our names. We had such an enjoyable time. Review: Overall the experience was good. Dining, excursions and on board activites were great.However, the pools are salt water (no splashing) and the music being played had lyrics that I certainly didn't enjoy and didn't want my kids exposed to. I realize many people want a "party" vibe while on their cruise, but I contend there are plenty of songs that convey that vibe without explicit lyrics. 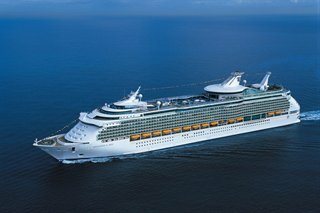 Review: The NAVIGATOR OF THE SEAS EXCEEDED MY EXPECTATIONS. IT WAS AN AMAZING TRIP!! Review: Christmas cruise for family of 4. 17 and 14 year old daughters had a good time. Review: Really enjoyed our cruise. Staff was great. 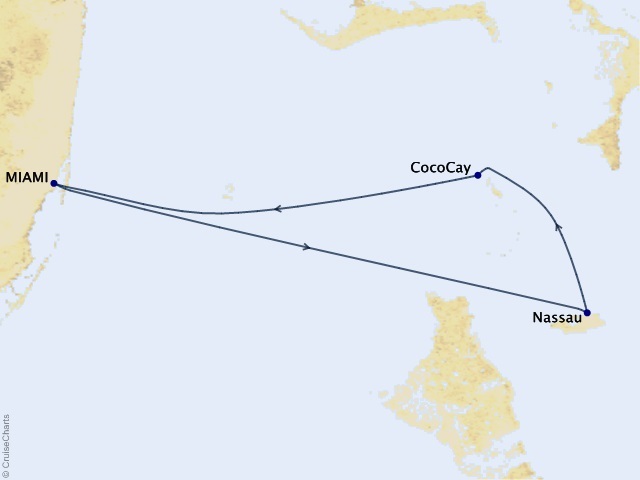 Review: We enjoyed our very first ocean cruise on a wonderful ship, "Navigator of the Seas". Staff, food, entertainment & ports of call were all very good. We booked two more trips whilst aboard so I guess, that says it all! Review: This was our first family cruise. Would definitely plan another one for my husband and I. Professional services-room, dinner room-Sapphire staff, Windjammer staff, pool staff, the entertainment-Ice show, live band---awesome! Pros: Professional services-room, dinner room-Sapphire staff, Windjammer staff, pool staff, the entertainment-Ice show, live band---awesome! Cons: The Voice-singer-awful- don't you listen to the performer before you hire them? The fish-salmon, tilapia, and ___ in Sapphire dinning room- disappointing-overcooked.... Internet cost---robbery! Review: Friendly staff EVERYWHERE!!! Had a lovely time! Review: We just returned from a week on Royal Caribbean's Navigator of the Seas, stopping in Honduras, Belize and Mexico. The ship itself was beautiful, and the food was good. However, I have to say that I would probably not choose Royal Caribbean again for a family vacation as their staff was not friendly or helpful. They were professional and polite, but not fun. The teen club was disappointing for my teens, as the activities provided did not entice many kids to stay and join in. Overall, nice trip for an older couple that wouldn't require any assistance. Good food, friendly and helpful crew, beautiful ship! Pros: Good food, friendly and helpful crew, beautiful ship! 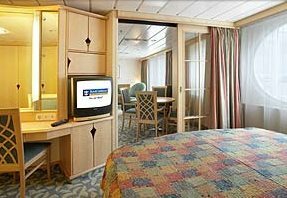 Review: First cruise and look forward to another!! 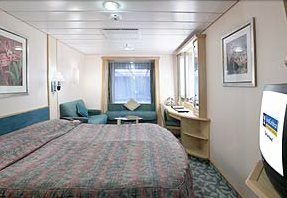 Review: I'm somewhat spoiled since I now usually cruise on Celebrity which tends to be a step up from RCCL. The bathroom is very small and if you drop something in the shower its hard to bend down without hitting the side of the walls in the shower. This was the most beautiful ship we have been on and we especially enjoyed the professional Ice Dancing show. Our room was very spacious and very comfortable. Everyone on the ship was very friendly and helpful. I would go on this ship again. Pros: This was the most beautiful ship we have been on and we especially enjoyed the professional Ice Dancing show. Our room was very spacious and very comfortable. Everyone on the ship was very friendly and helpful. I would go on this ship again. Cons: Couldn't think of any. 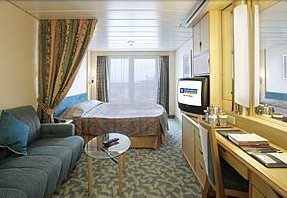 Review: The ship personnel took care of the problem we had with the on board credit and pre paid gratuities not showing up on our account. They said they were having some computer problems and it should be taken care of in about 24 hours. They were very helpful and took care of the problem. Cons: Miami Terminal was horrible, Smokey Casino, Limited Gluten Free foods. The boarding and deboarding process was bad enough to put us off this port. Our waiters-Nick and Luyao did all they could to please us. My room steward, N.D. was wonderful. The Diamond Club was great. Pros: Our waiters-Nick and Luyao did all they could to please us. My room steward, N.D. was wonderful. The Diamond Club was great. Cons: Not enough activities- like game shows during the day. Review: The shows on the first 3 nights were good. The last 2 nights of talent weren't as good. Review: Overall a fantastic experience. Royal Caribbean really tries. Excellent service, friendly staff, and terrific weather! Pros: Excellent service, friendly staff, and terrific weather! 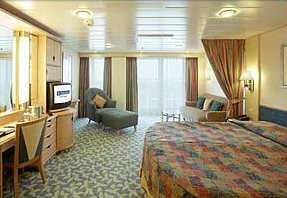 Review: We had a wonderful experience on the Navigator of the Seas. Boarding and exiting the ship were both smooth. It was a great vacation. Review: Main people in dinning room werent very accommodating. Ports of call. Dining. Drinks. Staff. Pros: Ports of call. Dining. Drinks. Staff. Review: Multiple issues prior to getting on ship and issues at port trying to get off the ship. The promenade was tiny and not used properly in my opinion. Shops should be located somewhere else to better use that area. Only one area for late night dining. Food was great but need more options. Review: promises were made to be brought back . never happened. no buses. we had to pay someone to get us back to port. on St Marteen we were left on a beach with no way to get back to port.Also promises were made to bring us back to port at an appointed time. We had a good time on our cruise. Actually, we were pleasantly surprised about our cruise experience on RCL. We were a little apprehensive to start having not been on a large cruise ship in a long time. You get very spoiled on Oceania. The experience was good. 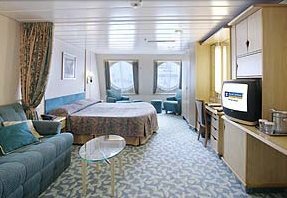 The accommodations, food, entertainment and service equaled Oceania's in our opinion. The only downfalls were the kids, young adults and crowded venues but as the cruise went on we learned how to avoid them all. I would go on RCL again. Review: With the exception of the hand sanitizers, it was very good. Review: We enjoyed the cruise with the exception of the formal dining food. There was nothing special about it. Be aware that the Windjammer serves equal if not better food. While we ran into a fellow cruiser talking about the wonderful steak dinner with asparagus quiche we missed....sorry to tell him....we had that same thing in the Windjammer. We were disappointed to learn that RCC no longer serves afternoon tea at 3pm which included guacamole, tacos etc. The shows on the ship weren't all that great with exception of comedians they brought on board. Many people were walking out on a variety of the shows after about the first 15 minutes. The ship's staff always friendly and helpful. The ship clean which was very impressive considering all the people on board. Ships policy is no reserving/holding seats or loungers; they were held/reserved all the time but we found there were plenty to be hand without issue. The last day was a mess getting off of the ship with no organization. We were to line up in The Sapphire Room which is full of dining chairs/tables (a challenge to wheel luggage around) to get in the "so-called" line up. It turned out that those on first ended up LAST as they took folks off from other end of the line as they ended up closest to the exit door. The line should have started opposite way so those first could be first! This may sound like whining but for those having planes to catch was a tad stressful. Pros: LOVED EVERY MINUTE OF IT! Review: This was our first cruise and you didn't disappoint! Everything was just as we had imagined! Ship great - usual Royal great service. Most of ports wonderful, tours good. Pros: Ship great - usual Royal great service. Most of ports wonderful, tours good. Cons: would never go back to Morocco but it was interesting. Review: Our first time using Air 2 Sea from Royal and was very pleased. Someone met us at Heathrow and drove us to hotel which was very convenient and the bus took us to and from ship. Professional Photographers did an awesome job! Pros: Professional Photographers did an awesome job! Cons: Could use more Vegetarian food choices. Review: I made arrangements at guest services for all charges that my 12 and 13 year old granddaughters made to be on my account, yet we were turned back as we exited the gangway at the end of the cruise because the gratuity charges for the three of us were entered to my 12 year old granddaughter which made it impossible for us to make our connections by the time we returned to guest services to straighten it out. 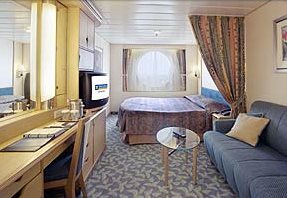 Review: Good cruise, we'd go again, but would not book an aft facing cabin. The bed in our room was worn out and needs replacing. Review: Loved all the Islands.......As for the ship, did not like some of the entertainment they had. During the days at sea not much to do for our age group. Food was good. Good weather, pleasant crew and great food. Pros: Good weather, pleasant crew and great food. Cons: Some days extremely windy ashore. Review: During the At-Sea days, I would have liked to see additional activities indoor, such as a nice movie, as the Pool Side large movie screen was compromised by being too windy and noisy and confused by Close-Captioning. That was not compatible with a late evening movie activity and comfort. 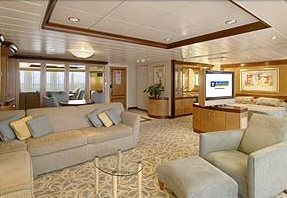 There were available Indoor lounges, large enough to house one or two separate movies. Their Schooner Bar could have had a Pool Table and perhaps a Table Tennis Table. Just a thought !!!!!! Great dining room service and food. Loved being at sea. Pros: Great dining room service and food. Loved being at sea. 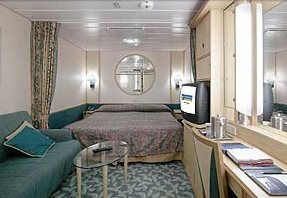 Review: The stateroom was kept clean and tidy at all times. Food was very good and the dining staff were very attentive. Long lines moved very slowly at times. Review: Had a wonderful time with extended family. Pros: Good staff and ports. Cons: Good food, not great. We think it has gone downhill since specialty restaurants. Review: We still are royal fans. Have more cruises booked. Prices are per person, based on double occupancy. Airfare, Taxes, Fees and Port Expenses are additional for all guests. 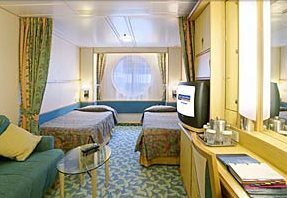 Pricing for 3rd and 4th guests are available upon request and are subject to stateroom category availability. Prices change frequently and are subject to availability at time of booking. Pricing listed may not be combinable with promotions/amenities. Rates shown already include applicable discounts such as buy one, get one half off or other promotions.